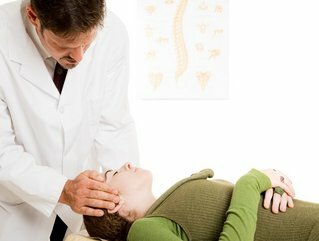 The Chiropractic Adjustment is a very specific maneuver that is performed only by a Doctor of Chiropractic. It should not be confused with gross manipulations one might undergo at the hands of an Osteopath, physical therapist, massage therapist, or your uncle Harry. It can only be performed after careful examination and analysis. The EXCLUSIVE purpose of a Chiropractic Adjustment is to correct Vertebral Subluxation Complex (VSC). It should be noted that Doctors of Chiropractic do not diagnose or treat disease. We correct VSC! What is Vertebral Subluxation Complex (VSC)? Very simply put: VSC is the misalignment of a vertebra or a group of vertebrae that applies abnormal pressure on the nervous system interfering with nervous conductivity, and the skeletal system by producing bone spurs and other arthritic changes to joints via the Law of Piezoelectricity. When vertebrae shift out of place, there is an overall systemic response from the muscular system all the way to the central nervous system (your body's computer). Without proper alignment and nervous flow, our nerves, our immune system, and even our minds cannot function at peak performance. Overall health and healing will undoubtedly suffer! Remember, our body's innate healing ability begins in the brain and travels from above, down, inside, and out; and it requires a freely functioning nervous system. Doctors of Chiropractic do not simply mask symptoms! We address and eliminate the problem at the source by correcting VSC! There are almost limitless advantages associated with a chiropractic adjustment and the subsequently free flowing nervous system. It relieves pressure on joints, reduces inflammation, and improves nerve function. It has been a trusted form of treatment since the ancient Greek Hippocrates documented manipulative techniques in his writings back in 1500 B.C. Modern chiropractic was born in 1895, in Davenport, Iowa, at the hands of Dr. Daniel David (DD) Palmer. Today, Chiropractic adjustments are used to correct VSC which can be responsible for various conditions such as allergies, frequent colds/flu, menstrual cramps, digestive disorders, fibromyalgia, dizziness, and headaches to name just a few. There are well over 100 types of adjustment techniques used by chiropractors throughout the world. Some practitioners may use manual adjusting techniques, while others use specially designed adjusting instruments. Dr Tom happens to employ a combination of the two, with tremendous results! These techniques are intended to restore a free flow of nerve energy to every cell, tissue, and organ of the body, while also enhancing joint function, reducing or eliminating pain and resolving joint inflammation, which left untreated, leads to arthritis. As you can see, a Chiropractic Adjustment is Not A Little Thing... to a body with a compromised nerve system due to VSC... It's Everything! Overall, chiropractic adjustments are an excellent way to keep the body functioning at its highest level without any discomfort. When the spine is adequately aligned, it becomes more able to respond and perform as God intended!